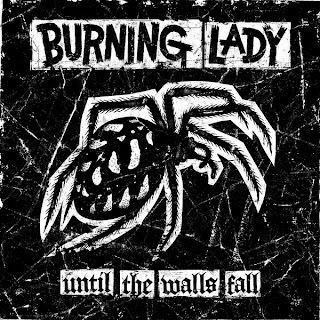 French street-punk quartet Burning Lady formed in 2008 after meeting each other on the local punk rock scene of their hometown of Lille in Northern France. The band consists of Sophie on vocals, Alex on bass, Mulder on guitar and Thomas on drums. Their street-punk sound with hints of rock’n’roll instantly got them noticed on the French and European punk rock scene and their energetic and passionate live performances soon got them tagged as a great live band on the punk rock circuit leading to support slots with the likes of The Vibrators, Deadline, Civet and Inner Terrestrials. 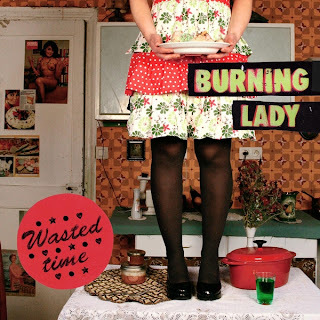 The band recorded their debut EP ‘Wasted Time’ in 2009 which was self-released on CD and has recently been on a split vinyl together with the Rotterdam punk band Disturbance on the French label Dirty Punk Records (UK Subs, Defiance, Lower Class Brats). The EP got great critical acclaim across Europe with UK fanzine Bitchslap saying, “Four tracks of extremely noisy, loud, fast and in-your-face pure punk rock. Riveting powerful vocals on top of exciting powerful music, in our book this CD is a total winner.” First Album “Until The Walls fall” will be released on 3rd May on Concrete Jungle Records (Germany). 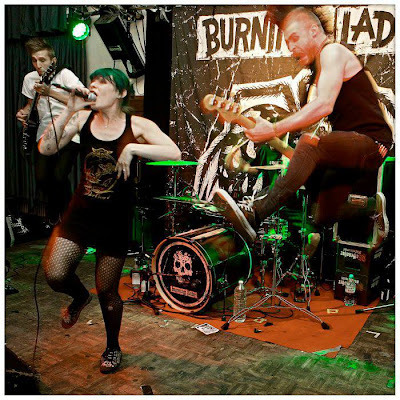 Burning Lady live are energetic, full-on and high-octane punk rock with great stage presence that really captures the audience. Great music, great attitude and a killer live show, Burning Lady are definitely a band to check out.